New Book Release that will change lives. 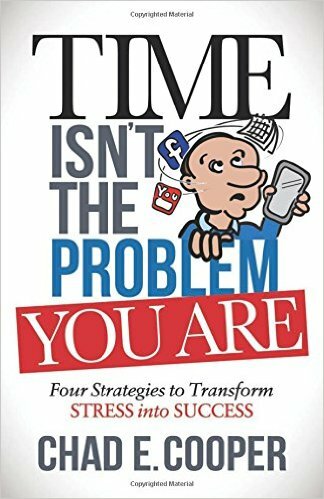 Acclaimed motivational coach Chad E. Cooper is pleased to announce that Aug.15th is the date for the simultaneous launch of his new book, “Time Isn’t The Problem, You Are,” along with an online mastermind course that seeks to show everyone how they can transform their lives from stress to success. Chad believes that everyone has the power within themselves to create what he calls a ‘Legendary Lifestyle’ and become the next Bill Gates or Oprah Winfrey. Time Isn’t The Problem, You Are, is the 21st century handbook for everyone feeling stuck and looking for a new direction in their lives. Chad provides a fun to read and easy to understand formula for developing those qualities, skills and habits that can enable anyone to achieve whatever they want. The online program teaches how to implement the strategies of the book to become a powerful communicator, find time to do anything and rediscover a passion for life. It includes group coaching sessions and exercises that enable participants to create their own personal strategy for success. Among the topics explored in the book are: Why “to-do” lists are an unproductive waste of time, the reason that how to say it is as important as what to say and practical and realistic advice on how to make time work well and not the other way around. “Chad leads by example and generously shares his success secrets in the practical strategies in this book. 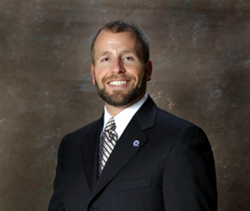 They will allow you to take control over your destiny,” says Mark Devine, NYT Bestselling author of The Way of the SEAL and founder of Unbeatable Mind. “Chad Cooper is the real deal. He doesn’t focus on tips and tricks. Instead he focuses on real issues that get real results. If you’re trying to get the most from your life, I can’t recommend Time isn’t the Problem, You Are enough,” says Jamie Turner, internationally-recognized author and CNN contributor. For More Information: Time Isn’t The Problem, You Are is published by Morgan James.